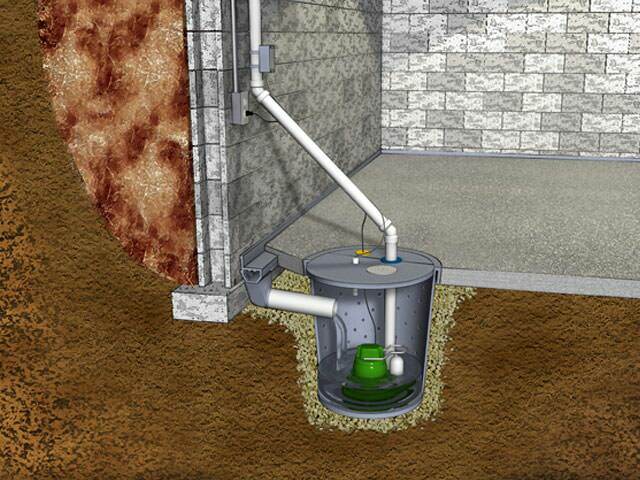 At Healthy Spaces, we install patented sump pump systems that have been developed by Basement Systems®, Inc. since 1987. They include the best cast-iron sump pumps and longest-lasting battery backup pumps in the industry. We are your local Basement Systems® dealer in Indiana and Kentucky, including Evansville, Owensboro, Newburgh nearby areas such as Henderson, Vincennes, Madisonville, Jasper, Haubstadt, Washington, Sheperdsville and the surrounding areas. 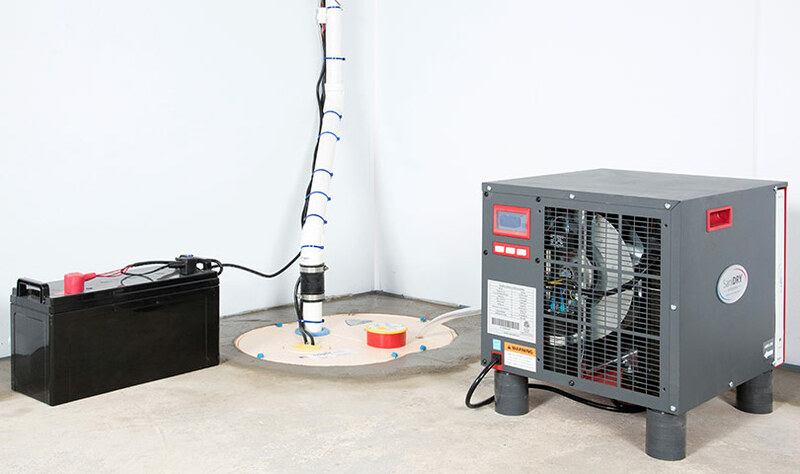 Really long lasting sump pumps are hard to find on your own, which can mean that you're replacing pumps frequently, or you're dealing with pump failure and the resulting flooding. These homeowners had dealt with both issues and felt that it was time to get a professional quality, long lasting pump with a warranty. 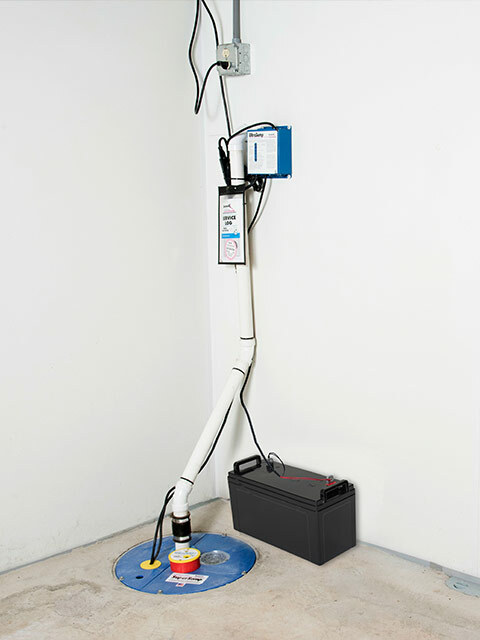 The Basement Systems Super Sump is a cast-iron sump pump with the longest-lasting battery backup pump in the industry. 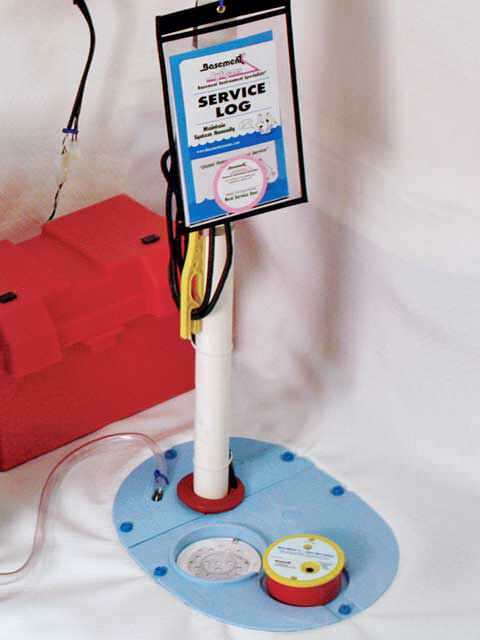 The pump is constructed of a rigid durable plastic that is designed to house a sump pump and will not mold or bend. It's an all in one number--an existing pump basket, a durable lid, and quality components. The homeowner said, "I was really impressed with the [Zoeller] pump that Healthy Spaces installed. The waterproofing system is top notch and I feel like I can rely on this pump." There are different levels of water intrusion in a basement. Some basements just leak a little and it doesn't feel like much of a big deal. Other basements have consistent flooding that can really fill up the space with water in no time! Because there are different amounts of water intrusion, there are different levels of sump pumps. The most powerful sump pump on the market is the TripleSafe sump pump. The rugged plastic body hold not one but three pumps set at different heights to handle every level of water intrusion possible. The first pump is for the regular water load that comes in rain or shine. The second pump is set higher up to help pump when a sudden rainstorm starts filling the basket quickly. Finally, there's a third pump even higher up that runs on a battery back up and can kick on if the pump is overwhelmed. This Owensboro, KY home had a Waterguard basement waterproofing system installed. This Waterguard system is coupled with a high powered, reliable Zoeller sump pump. 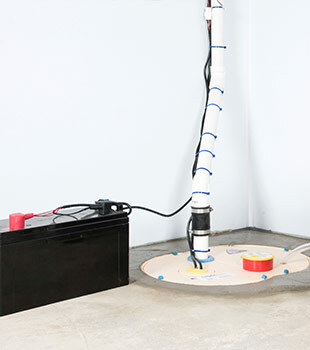 Sump Pumps should be installed in the lowest lying corner of the basement and then the Waterguard system will direct leaking groundwater into the sump pump to be pumped out of the basement. These sump pumps can be coupled with Waterwatch Alarm system to keep the homeowners aware if the sump were to become overwhelmed. There are also battery back up systems available to keep the pump powered even if the electricity goes out! This Newburgh, IN home was experiencing regular crawlspace flooding due to the high water table in the area. The homeowners knew that simply installing a vapor barrier was not sufficient--they had two previous vapor barriers fail. They also needed a state of the art, energy efficient, durable sump pump system to remove ground water from below the vapor barrier. The homeowners met with Healthy Spaces to discuss having their crawlspace encapsulated and waterproofed. 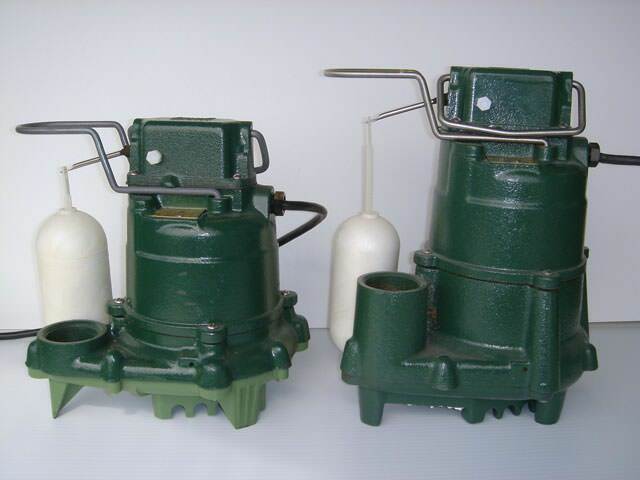 The most efficient sump pump for their needs was a SuperSump--a Zoeller sump pump with some very important features contributing to its longevity. 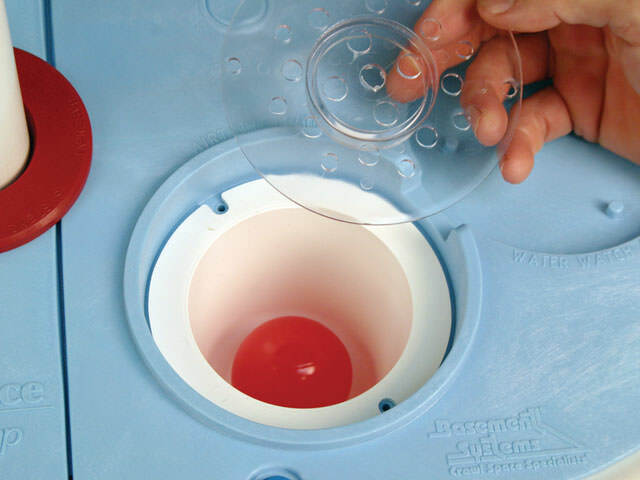 For example, the SuperSump has an airtight lid that will isolate the encapsulated crawlspace from the water in the sump basket. 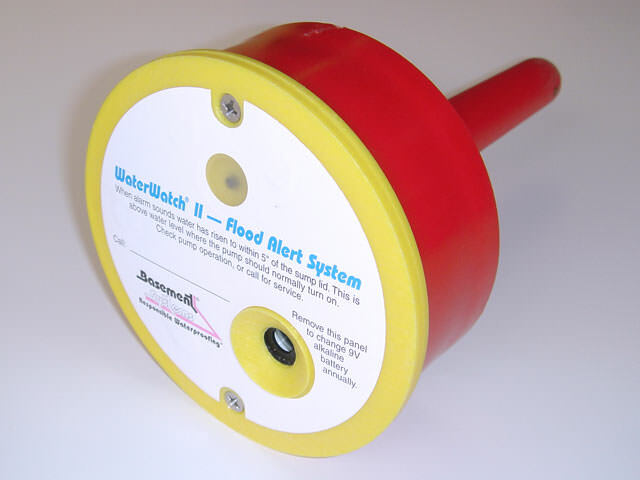 There is also a WaterWatch alarm in the sump pump lid, which will alert the homeowners if the pump becomes overwhelmed. Here, you can see the old sump pump system before the installation team replaced it. The pump does not have a lid, which created a bad situation--when the pump became overwhelmed, it simply allowed the water to pour out on top of the liner! In the second picture, you can see that the installation team has completed the installation of a cast-iron Zoeller® sump pump with a reliable liner, a sump alarm, and a battery back up system. The SmartSump and the CleanSpace are designed to fit together in a way that keep moisture in the pump, not on top of the liner. We offer free sump pump installation quotes to homeowners in our Indiana and Kentucky service area. Each quote includes an on-site consultation, written price quote, and a copy of our 88-page waterproofing book "Dry Basement Science: What To Have Done...And WHY".